Help your Salsa class continue for years to come…. The average class needs a regular 25+ people attending each week to survive minimum. Follow these few very easy things to ensure your local Salsa class will continue…….. The average person that comes to a Salsa class is very nervous. They don’t know anyone and they are trying something out of their comfort zone. So anything that we can do to help them feel comfortable and relaxed will go a very long way to ensure that they enjoy the evening and come back the next week. People come to Salsa to dance! But when someone has only just started, they don’t know many moves or many people. And if they don’t dance what they have learned they won’t feel the full effect of SALSA! And if they don’t feel what Salsa is about, they may decide not to come back to class! 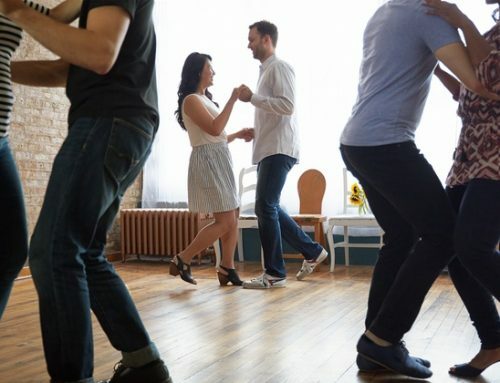 Parties are brilliant for making people feel welcome and a part of the “Salsa Gang”. It really shows them what learning to Salsa dance is all about. Tell your friends, family and anyone who will listen!!! Word of mouth is our biggest tool for getting people to know about our Salsa classes. So remember to tell everyone and anyone who will listen about how much fun you are having in your local Salsa class. Are You Taking the Lead on the Dance Floor?